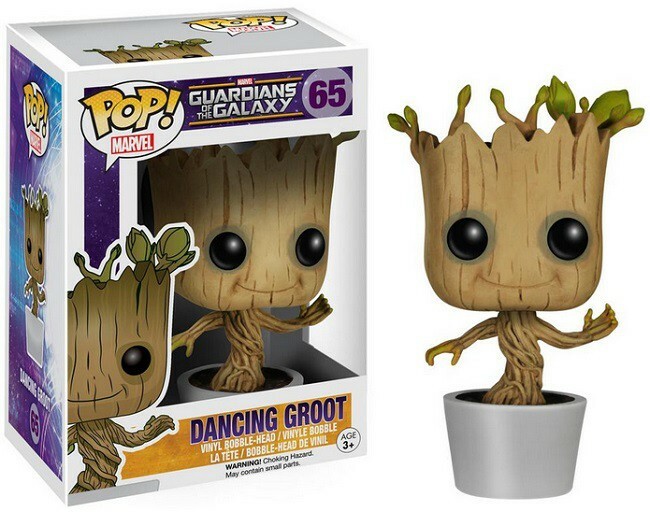 Home Random Stuff Blog Funko reveals Dancing Groot Toy! My heart is filled with cuteness aggression! It seems the out pour for a Dancing Groot figure hasn’t gone unheard, because seriously who didn’t love that last bit with that Baby Groot busting out into dance as Drax the Destroyer sharpens his blades? Ever since that cute little clip above filled our hearts with cuteness aggression after an awesome movie, DIY’ers around the globe have been trying their hand at recreating Baby Groot in all his glory. Thankfully, Funko just announced that they’re releasing the first officially licensed Dancing Groot toy! While they haven’t given an official release date for the toy, you can be sure that it’ll be sold out in minutes, so better put some cash down to reserve one at your local toy haunts. Just in case, you’ve forgotten how cute and awesome that clip was, here it is again!